Monday night’s game between the Los Angeles Clippers and Houston Rockets was billed as a potential Western Conference Finals preview. Sure the San Antonio Spurs, Oklahoma City Thunder, Memphis Grizzlies and so on are always a threat, but the Clippers and Rockets, from top to bottom, clearly have the most talent-stacked rosters in the conference. That’s why their early season battle was a big deal. And that’s why the Clippers crushing Dwight Howard and Co. raised some eyebrows. A loss four games into the season is just that – a loss four games into the season. There is no reason for Houston to panic, and nobody should read too much into anything. That being said, there is something to be said for experiences that reinforce prior theories, and last night’s showing did just that in one regard: it once again showed that Lin doesn’t belong in the starting lineup. All preseason, fans and critics alike suggested that Lin should come off the bench. Again, it wasn’t because he lacks the talent to start, but simply because his particular set of skills make him better suited for a sixth man role. He’s a really solid offensive player, perhaps even an underrated one at this point, but his defense is not good. Last night, Chris Paul exposed that to the world. Lin scored 14 points on four-of-eight shooting versus the Clippers. He also dished out eight assists and only had one turnover. He is a really, really good offensive player. But he also let Paul destroy him. Mind you, this isn’t even about the 23 points and 17 assists that Paul dropped, it’s about the way he allowed Paul to comfortably run the offense with absolutely zero defensive pressure. This is not a new thing. When you compare Lin’s career defensive stats to that of otherstartingpointguards in the NBA, factoring in the difference in minutes played and offensive workload they’re responsible for, the numbers speak for themselves. The Rockets need Patrick Beverley to be their starting point guard, and they need Lin to come off the bench. If the former proves to be an unreliable starter because of injury problems, Kevin McHale better prepare himself for a bumpier than expected ride this year. 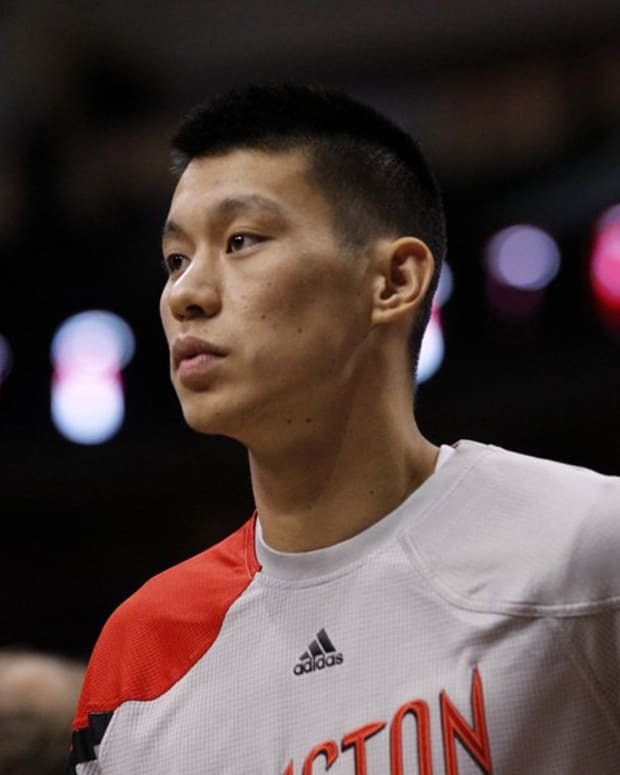 NBA Rumors: Could Jeremy Lin Be Traded from Rockets to Pistons?